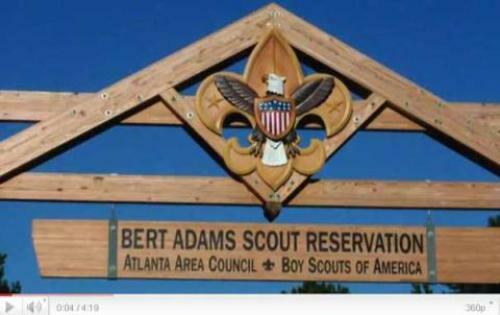 On April 14 the Atlanta Area Council issued a charter, the Concerned Parents of A. Philip Randolph elementary school to start Troop 2020. It will be headed by Scout Master Rodney Roberts , Assistant Scout Masters V.J Beedles and Ed. Smith. 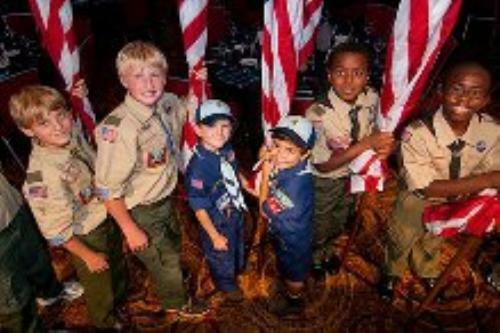 We welcomed the boys into the troop so that they will travel to new adventures in scouting. 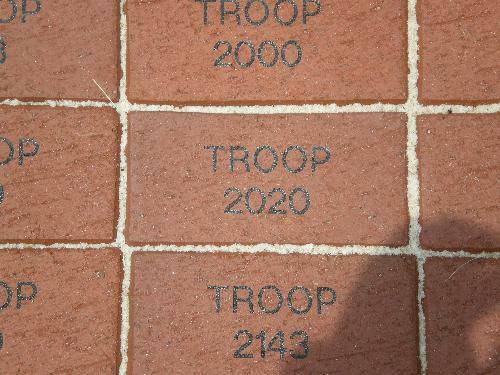 We look forward to all of the adventures that await Troop 2020. 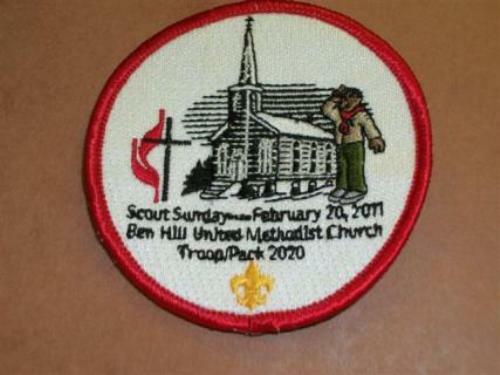 In February 2010 Troop 2020 was welcomed into the family at Ben Hill United Methodist Church. The boys meet there every Tuesday at 7:00 pm. 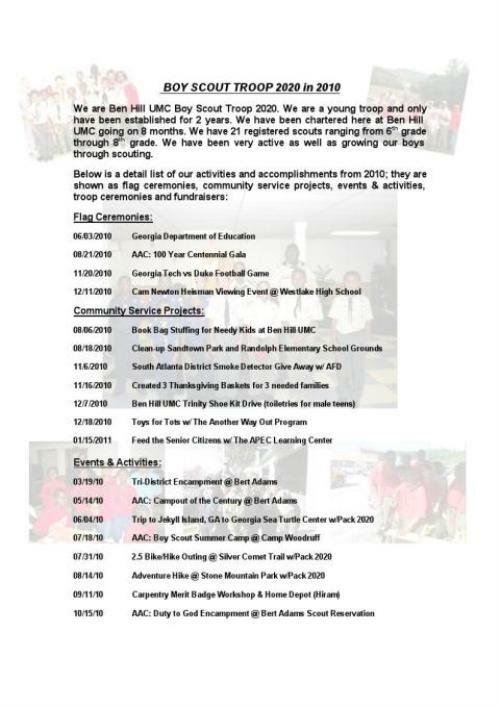 In March 2011 Troop 2020 was selected as Troop of the year for the South Atlanta District. 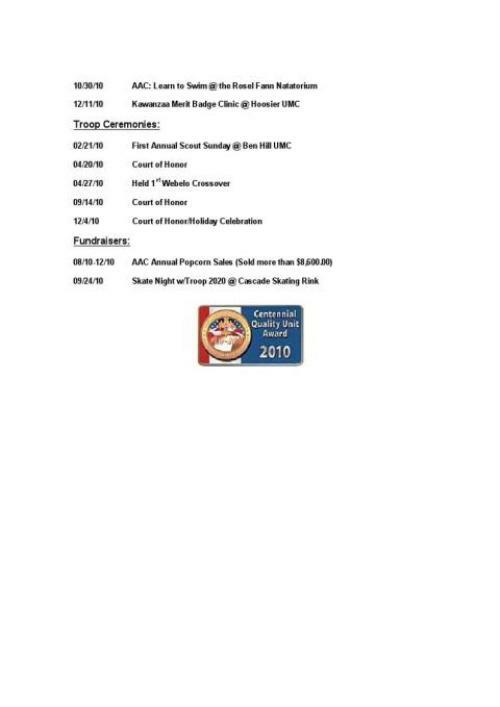 This was a major accomplishment for a troop entering into only it's third year of scouting. We looking forward to many more years of helping our boys reach new heights. Our troop motto, "On the the road to Eagle Scout"!